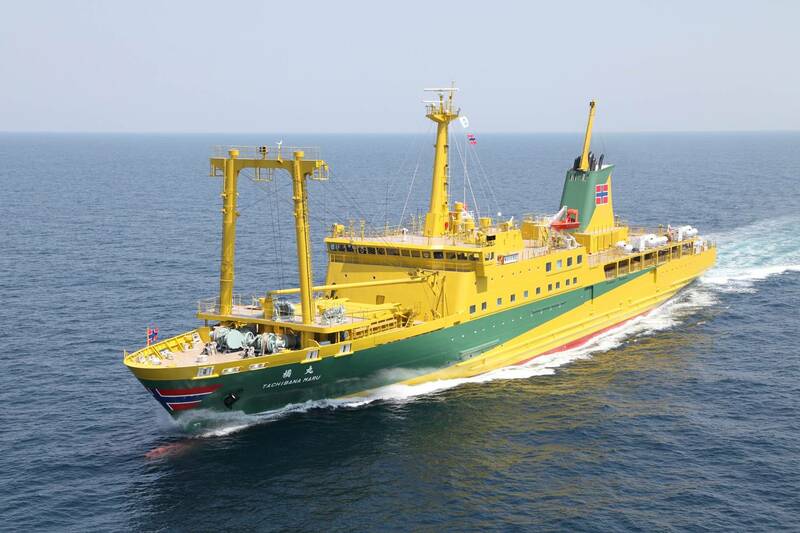 On June 4 Mitsubishi Heavy Industries, Ltd. (MHI) delivered the cargo-passenger ship Tachibana-Maru to Tokai Kisen Co., Ltd. at its Shimonoseki Shipyard and Machinery Works. The vessel is a "super eco-ship" with a high-efficiency propulsion system that achieves energy savings, environmental load reduction and enhanced passenger comfort and safety, MHI said. The ship also features a new color scheme of yellow ocher and olive green designed by Ryohei Yanagihara, a well-known Japanese illustrator who is also an honorary captain at Tokai Kisen.